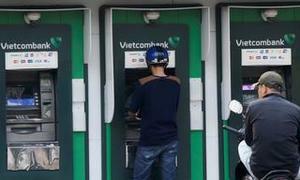 Following pacts worth $14.3 billion in total signed yesterday morning, Vietnamese and U.S. companies and agencies continued to ink 11 cooperation deals in the evening with energy being the main focus. These agreements were signed during the meeting “Taking the Trade Relationship to the Next Level”, which was co-host by Vietnam Chamber of Commerce and Industry and American Chamber of Commerce in Hanoi. 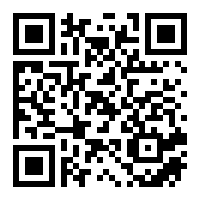 According to U.S. Ambassador to Vietnam, Ted Osius, in order to meet Vietnam’s clean energy needs, companies from both countries are cooperating in various projects in renewables, energy efficiency and natural gas. 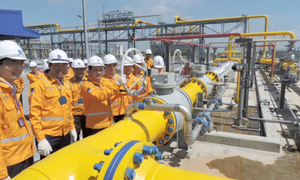 That is why seven out of the 11 pacts signed on Monday are about energy cooperation. 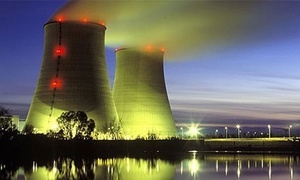 Two deals are in oil and gas sector, one in solar energy, one in wind power, one in biomass energy, and two in nuclear power. 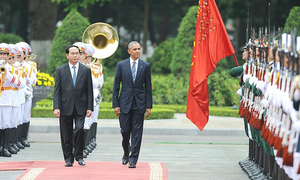 Details of the energy pacts include: memorandums of understanding between Vietnam’s state-owned PetroVietnam and U.S. Honeywell International Inc. and U.S. Murphy Exploration & Production Company; agreement on solar energy between Vietnam’s Thien Tan Group and U.S. First Solar; United States Trade and Development Agency Bac Lieu Phase III Wind Farm Feasibility Study between Vietnam’s Cong Ly Construction-Trade-Tourism Company and U.S. Black & Veatch; MoU on biomass energy between Vietnam’s Tin Thanh Industry, Electricity and Steam and U.S. Warrior Mfg., LLC’s Dacotah, LLC; agreement on nuclear safety training between Vietnam Agency for Radiation and Nuclear Safety (VARANS) and U.S. Lightbridge Corp.; MoU on support and training between in nuclear power between VARANS and U.S. Westinghouse. Vietnam’s Ministry of Industry and Trade in the morning of May 23 signed a memorandum of understanding with General Electric on renewable energy development in Vietnam. Both parties aim to produce at least 1,000 MW of electricity from wind power projects by 2025. Vietnam-U.S. two agreements on climate change collaboration, all targeting Vietnam’s Mekong Delta, include: Lower Mekong Research Collaboration Initiative between Vietnam’s Can Tho University and U.S. Embassy in Hanoi; and MoU on Climate Change in the Mekong Delta between Vietnam’s Ben Tre Province and U.S.-ASEAN Business Council. Joint efforts to minimize the negative effects of the crippling drought and salinity in Vietnam’s Mekong Delta are under way. The two pacts on climate change between the U.S. and Vietnam’s Can Tho University and Ben Tre Province will connect their scientists’ research to promote biodiversity and ecological protection in the Vietnamese delta, Osius said at the meeting. The United States Agency for International Development (USAID), through the Vietnam Red Cross Society, has contributed $500,000 of emergency assistance to provide safe-drinking water and hygiene to residents in the areas suffering from drought and saltwater intrusion. The program will benefit about 50,000 people living in six of the worst-hit provinces, according to Osius. The cooperation between Vietnam and the U.S. is energized by the private sector, too, not just from government to government channel. “Our governments, our businesses, our non-government partners, our research institutions and our people hand together, lay critical foundation for a sustainable future,” Osius said. Vietnam’s Vice Minister of Planning and Investment, Nguyen Van Trong, wanted the U.S. to become the biggest investor in Vietnam in the coming time and urged the U.S. to invest in finance and banking sector, energy, high technology, infrastructure, advanced food processing and industrial manufacturing in Vietnam. Their economic relationship is based on a firm foundation. 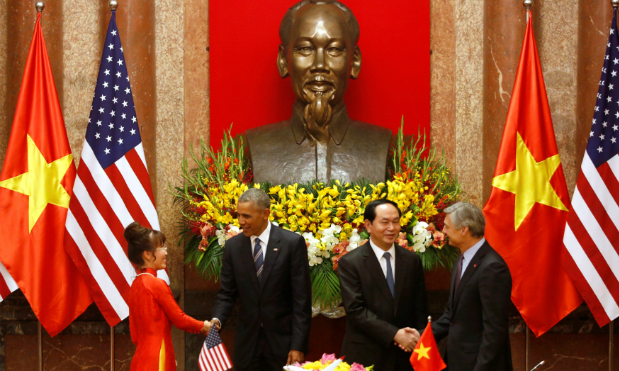 The two-way trade between Vietnam and the U.S. has increased more than 20 percent per year for the past four years and it has risen to $45 billion in 2015, from $450 million in 1995. 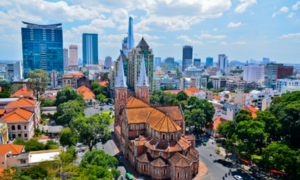 The U.S. is the eighth biggest foreign investor in Vietnam with total registered capital of $11.6 billion in 808 projects, according to Trong. The two remaining deals are MoU on expansion of Ho Tram Strip Resort between Vietnam’s Coteccons and U.S. Asia Coast Development Company Ltd.; and MoU to promote road safety between UPS Vietnam and AIP Foundation. The Ho Tram Strip Resort’s investor will pour additional $75 million to build another luxury hotel with 559 rooms in the resort in Vietnam’s southern province of Ba Ria Vung Tau. The resort, which currently has 551 rooms, began operations in 2013. 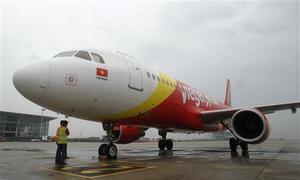 Earlier in the day, Vietnam's VietJet Aviation Joint Stock Co. and Boeing agreed on a deal for 100 aircraft worth $11.3 billion, the largest ever single commercial airplane purchase in Vietnam's aviation history. 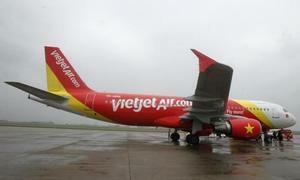 VietJet Air signed another $3.04 billion contract with engine manufacturer Pratt & Whitney on Monday.